Concern about Taiwan is growing. This tiny nation of around 23 million has been a democratic success story, showing, to the shame of the giant nation on the mainland, that Asians can indeed govern themselves. And while governing themselves, the Taiwanese have stood firm, facing down the giant military of the People’s Republic of China that has regularly threatened invasion. But now, observers agree, the danger to Taiwan may now come less in the form of brute force, and more by turning the nation’s ballot box against itself, as subversion by the Chinese Communist Party (CCP) threatens to change the character of Taiwan, and undo its proud legacy of freedom. Tsai praised the TRA for helping Taiwan go through the darkest time in Taiwan’s history, and is proud of the fact that Taiwan has become one of the freest countries in the world. “In terms of security, [the act] laid out a framework to not only ‘provide Taiwan with arms of a defensive character’ but also ‘to consider any effort to determine the future of Taiwan by other than peaceful means, including by boycotts or embargoes, a threat to the peace and security of the Western Pacific area and of grave concern to the United States,” she said. When asked about what was the one wish she wanted to make, Tsai said that for the young generations in Taiwan, the only way of living they know of is that of democracy. Tsai that that she “could not agree more” with U.S. President Donald Trump’s view that “economic security is national security.” She believes Taiwan is “part of that,” as Taiwan has the capacity to expand its economic relationship with the United States. Tsai said this is particularly relevant in the case of Huawei, and the battle over the control of the 5G networks. Tsai said that Taiwan is committed to defend itself under the military threat from China, and has made more investment in defense. Tsai ended her speech by stressing again the “shared values” of the United States and Taiwan. “At this critical moment, it is more important than ever to ensure that the letter and the spirit of the TRA prevail, and that the values we share continue to shape the future of our region,” she said. While Tsai sounds more optimistic and hopeful towards what is in store for Taiwan, China experts and observers are more concerned. “Here in Taiwan, it’s China that dominates every discussion. Beijing’s malign influence is apparent everywhere, while the United States is seen as largely absent. Washington must wake up to the danger of China’s massive effort to infiltrate, undermine and eventually abolish Taiwan’s democracy,” Josh Rogin, a columnist of the Washington Post wrote in an opinion article. 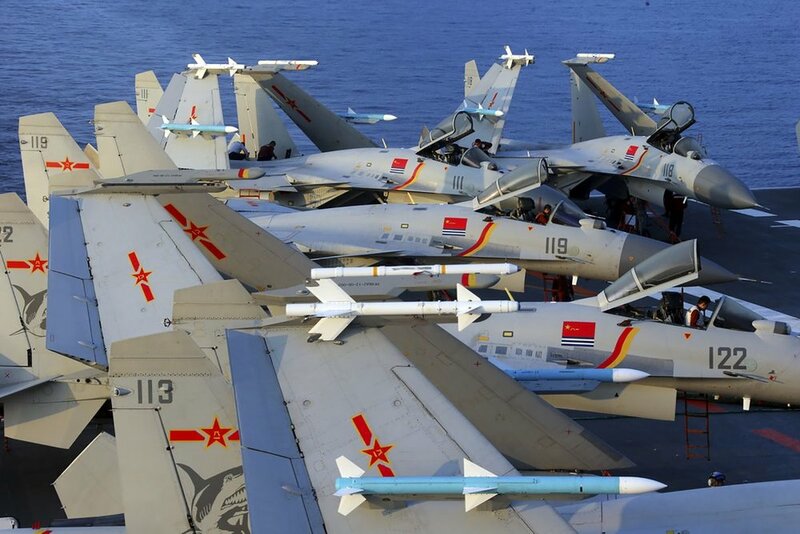 Dr. Frank Tian Xie, a business professor at University of South Carolina Aiken, agrees that although military threat is also one of the major challenges for Taiwan, the most dangerous one is the CCP’s infiltration. Xie thinks that the possibility for CCP to wage a war against Taiwan is low, as a war could trigger fiercer internal struggles in the CCP and objections from the Chinese public, as well as America’s military intervention. By influencing elections, deploying spies, buying over not only media, but also elites in the political and business communities, Xie said, the CCP has raised its interference to a dangerous level. The media and the compromised elites have become representatives of the CCP. Xie said that even some Taiwanese-founded Chinese-language newspapers in the United States have now become mouthpieces for the CCP, such as the World Journal and The China Press. Xie said Taiwan should adopt a law similar to America’s “Foreign Agents Registration Act,” and require those media that actually represent the CCP to register as foreign agents so that the Taiwanese public would not be misled by these outlets’ fake news that harms Taiwan. The third threat Taiwan is facing, Xie said, is its economic dependence on China. In 2017, Xie was invited to National Taiwan University to conduct research on the trade relationships and interdependence between Taiwan and China. After analyzing economic and trade figures for the past 20 years, Xie and his co-researcher found that Taiwan’s economic dependence on China was 10 times China’s dependence on Taiwan. Xie said this was an alarming figure, and Taiwan should realize the grave danger. He said a Bilateral Free trade Agreement between the United States and Taiwan is a very good initiative. Given the Trump administration’s strong support for Taiwan, Xie said the opportunity is ripe for Taiwan to start direct talks with the United States. Chinese political and economic analyst Qin Peng told the Epoch Times that a Bilateral Free Trade Agreement between the United States and Taiwan can not only enhance U. S. national security and offer Taiwan more protection by reducing Taiwan’s dependence on China, but will also benefit China by encouraging healthy development there. Qin said, as part of the global high-tech supply chain, Taiwan plays a critical role for global information security, including the security of the United States and the Indo-pacific region. If a Free Trade Agreement can be achieved, given that the United States has started to restrict the transfer of high-tech to China, more Taiwanese high-tech companies would choose to move back to Taiwan. This can in turn prevent CCP’s forced technology transfer, theft, and potential compromise of critical parts of the supply chain. Qin said a free and safe Taiwan is the beacon for many mainland Chinese who long for democracy. Taiwan’s development and safety can give Chinese people hope and more incentive to strive for freedom and democracy, and to contain the CCP’s predatory expansion. Tang Baiqiao, former 1989 Tiananmen Square-uprising student leader and president of Democracy Academy of China, said a free trade agreement would bring U.S.-Taiwan relations to another height, and make the United States feel more secure about Taiwan’s attitude. If Taiwan becomes too close with the CCP, there is little the United States can to do intervene, even when the CCP is trying to suffocate free institutions in Taiwan. Tang said, a trade agreement with the United States can also set an example for other countries, encouraging them to improve trade relations with Taiwan, and he hopes that Taiwan can seize the opportunity. Cao Ji (alias on Twitter), a former professor at a university in Shanghai who lives in Taiwan now, said that whether the status quo between Taiwan and China can be maintained depends on China’s economic status in the coming years. If China’s current financial stimulus policy cannot save China’s economy, the CCP could use “Taiwan Independence” as an excuse to create and intensify tensions at the Taiwan Strait to distract attention from its own crisis. Both Taiwan and the United States should prepare for this possibility in advance, he said. Cao said, faced with the CCP’s aggressive pressure on all fronts, Taiwan should cooperate more with the United States in politics, the economy, diplomacy, and the military. At the same time, the Taiwanese government should be more proactive in supporting the Chinese people’s fight against the CCP’s tyranny, as well as their struggle to gain freedom and democracy. Taiwan should be involved more in international human rights and the activities by NGOs to expose the CCP’s atrocities. Cao said, Taiwan is an important base for the semiconductor industry, and has the responsibility to make sure that sensitive technology will not fall into the CCP’s hands. Taiwan and the United States should cooperate in law enforcement to punish Taiwanese businesses and individuals that secretly transfer U.S. technology and patents to the CCP, to prevent further damage. He Qinglian, a China scholar, wrote in a commentary in Chinese that amongst the new “Romance of Three Kingdoms” of the United States, China and Taiwan, the U.S. attitude is an important force to balance the relationship across the Taiwan Strait. However, the main “function” of TRA is to ensure that the U.S. will ensure Taiwan’s safety if, and only if, the CCP tries to “unify” Taiwan with force. 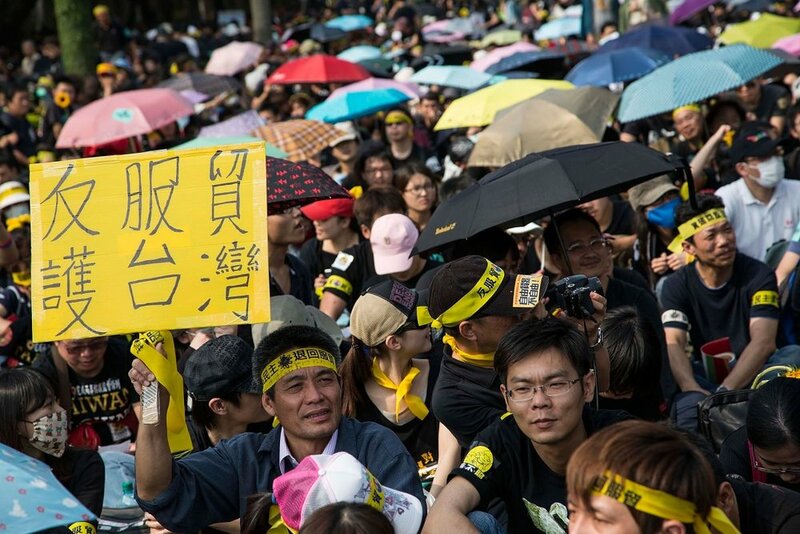 TRA cannot and will not protect Taiwan from CCP’s “peaceful” infiltration. In this sense, He argues, the TRA does not have the function of protecting Taiwan’s democracy, as many Taiwanese have wished. Therefore, the greatest challenge for people in Taiwan, who have somehow taken free elections for granted, is how to select the next president in 2020, who can fight against the CCP’s red influence, and develop Taiwan’s economy at the same time, while finding the fine line to balance its relationships with the two superpowers: the United States and China. Jan 10 Is Beijing Ready to Surrender in Trade Talks?